Ready to Cook, Lobster Tails Delivered to Your Door. Experience the supple texture, succulent flavor, and briny sweet aroma of true cold water North Atlantic Lobster Tails. Our fresh-frozen North Atlantic Lobster Tails can be steamed, boiled, grilled, or broiled to unlock the most sweet and tender treasure that our ocean provides! 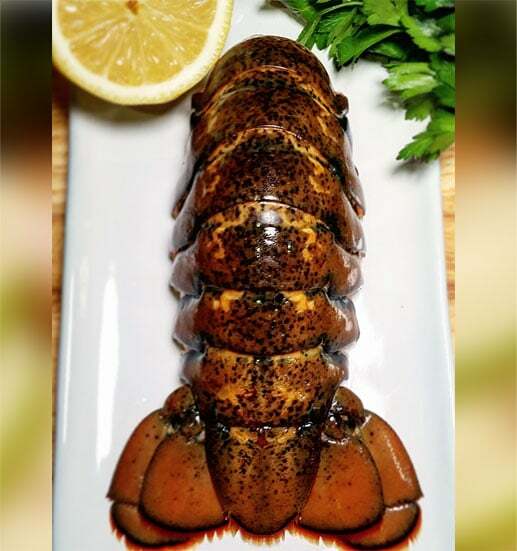 Experience the supple texture, succulent flavor, and briny sweet aroma of true cold water North Atlantic Lobster Tails. Our fresh-frozen North Atlantic Lobster Tails can be steamed, boiled, grilled, or broiled to unlock the most sweet and tender treasure that our ocean provides! Our approach to lobster is making sure the quality and flavor arrives to you in perfection. We want you to savor the experience as if you were on vacation in the fishing village of Montauk, Long Island. Right after our hard shell Northern Lobsters are harvested, the most sought after and decadent fresh Lobster Tail is vacuum sealed and flash frozen at the height of flavor and peak of quality. The ease and experience of having Northern Atlantic Lobster Tails ready to cook makes this a vacation right in your own home!